Just like riding on clouds. Going beyond the end of the road grants you breathtaking vistas and serene riding, but usually at the cost of teeth-chattering discomfort. 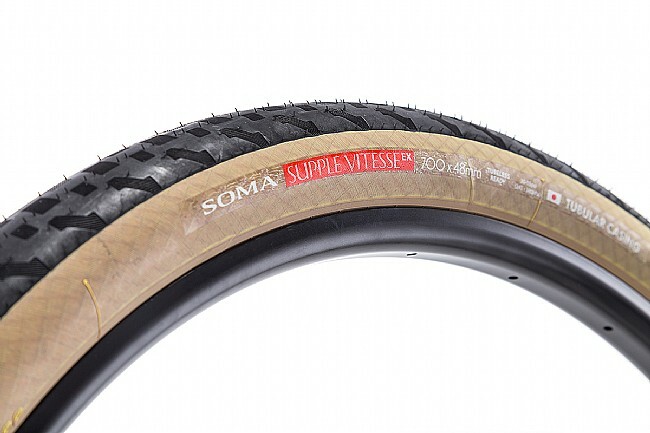 With the Soma Fabrications Supple Vitesse EX Allroad Tire, you get cloudlike comfort and reliable traction for hard-packed dirt, gravel, or asphalt. With the nearly-bombproof Extra Wear casing, the Vitesse EX reduces rotational weight, rolling resistance, and offers ample protection from slashes, punctures, or blowouts. 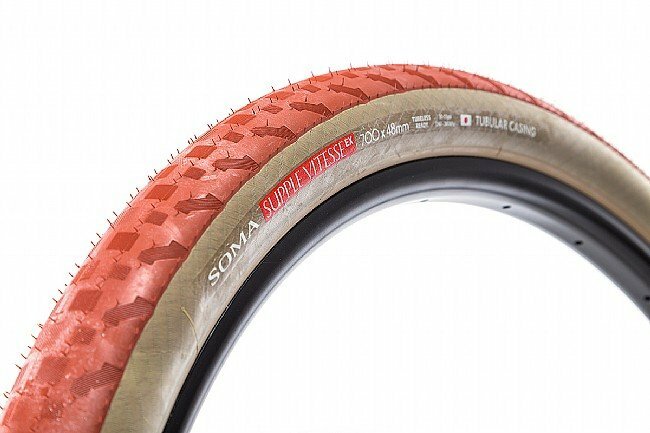 The durable tubeless-ready casing is supplemented by a high-mileage carbon rubber that wears slowly, yet remains durable and grippy enough to stand up to chip-sealed road and loose gravel access roads alike. 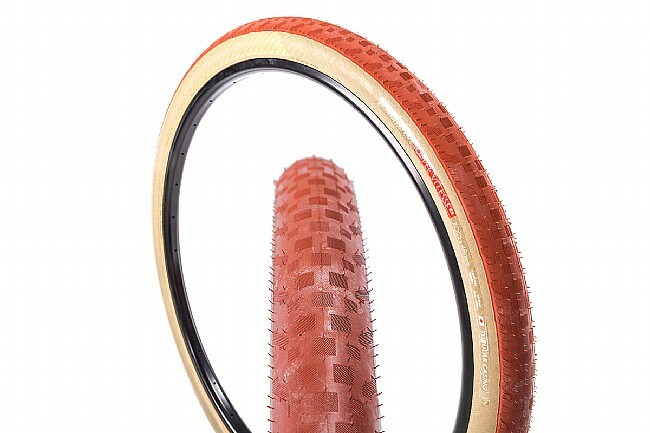 Extra Wear casing for a long-lasting, durable tire that maintains road feel and comfort. All-road tread pattern designed for on or off road use on dry, rough terrain. Available with Black or Terracotta tread with tan sidewalls.